Unfortunately, in a notoriously gun-hating state like Massachusetts, you’ll have to jump through quite a few hoops before you’re allowed to buy and own a firearm. Luckily for you, we’ll go over everything you need to know to navigate the maze of Massachusetts gun regulations to help you buy a gun! Massachusetts makes a distinction between firearms with “large capacity” magazines and “non-large capacity” magazines, and you’ll want to keep this in mind throughout all of your gun-buying decisions. In Massachusetts, it is illegal to own magazines that can hold more than 10 rounds, because anything that can hold more than 10 rounds is a “large capacity” magazine. The only magazines that are exempt are ones that you have owned prior to September 13, 1994. Not to worry though! Gun manufacturers make 10 round magazines to accommodate people living in states with magazine capacity limits. Before you decide to buy a gun, you’ll need to ask the state of Massachusetts for permission to exercise your 2nd Amendment right, and apply for a permit. Depending on the type of firearm you want to buy, however, you will need to apply for a different type of permit. 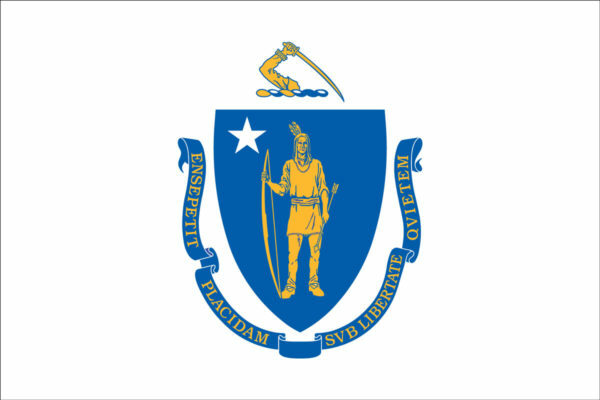 If you decide to buy a handgun from a private seller, the seller will have to notify the State of the sale within 7 days, and use the Massachusetts Gun Transaction Portal to record information on the buyer, seller, and the firearm. This means that while there isn’t officially a background check like with buying from a dealer, all the information regarding the sale (except for the price) is recorded anyway. The good thing about getting the LTC is that not only does it allow you to purchase and own a “large-capacity” handgun, shotgun, or rifle, it also lets you carry a handgun, both openly, and concealed. The bad news? The application is made to the Colonel of the State Police, who may issue the permit. Or may not. Just like any permit to carry in a may-issue jurisdiction, it’s unlikely the state will issue a permit, unless you can show an urgent need, or are a celebrity. Provide proof of completion of a firearms safety course. A violation of a drug law. If none of those apply to you, then you’re good to go on to the next step and take a firearms safety course! The course requirements should be satisfied by any Massachusetts-specific firearms safety course you find, as long as it is taught by an NRA-certified instructor. Once you check and make sure you’ve provided all the required information, you can send off the application, and wait about 30 days to hear back, though it can take much longer, depending on the amount of other applications being filed by everyone else. When you finally manage to get the LTC, you can head to your local gun store to pick out the handgun that you want to buy. Oh, but there’s one more catch: you can only buy the handguns that the State has approved. Massachusetts has a list of approved handguns that it has deemed are safe for civilians to purchase and own, provided on their Large Capacity Weapons Roster. These “large capacity weapons” are firearms that can hold more than 10 rounds at a time. Aside from the handguns on this roster, no other types or variations are allowed, even if it’s just a slightly different color. If you want to buy an actual gun not restricted by random laws your state representatives decided were too dangerous for you to own, you’ll have to get it through a private seller. Good luck finding someone who is willing to sell you a normal gun though. And of course, keep in mind, all private sales have to go through the record-keeping of the Massachusetts Gun Transaction Portal. You still want to buy a long gun after all of that? Great! Lucky for you, the state has a different permit for buying long guns! If you did not go through the process of getting an LTC and are only interested in long guns, you can apply for a Firearms Identification (FID) Card. An FID card is required to own or buy a long gun, and is even required in order to have a long gun in your own home or place of business. The only exception is if you have an antique firearm, which does not require any permits to own. Manufactured before 1899 that uses fixed ammunition that is no longer manufactured in the US, or is not readily available in ordinary markets. To get the FID card, you’ll need to apply to the state police, which will either issue or decline your application within about 40 days. The card will allow you to purchase and own non-large capacity rifles and shotgun, as well as ammunition. Basically, if the rifle can hold more than 10 rounds, you can’t own it. If the shotgun can hold more than 5, tough luck. Complete a firearms safety course. Not too bad, right? And if you are under 18, you can still get an FID card! If you are 15 or older, you can apply for an FID card with permission from a parent or guardian. The training requirement can be satisfied by any Massachusetts-specific firearms safety course, or hunter education course, preferably taught by an NRA-certified instructor. These courses need to provide an overview of Massachusetts gun laws and how to safely handle a firearm. To actually fill out and file the application, however, you’ll need to apply in person at your local police department. You’ll need to provide specific reasons why you want to own a firearm, along with the name and contact information of two personal references. The police will do a background check to see if you should be denied a license for any reason. Past criminal convictions or juvenile adjudications. If you are not a permanent US resident, you can still apply for a Resident Alien Permit to Possess a Rifle or Shotgun. The only catch is that this only allows for the purchase of rifles and shotguns, not handguns. Once you’ve gotten permission from the state, whether in the form of an LTC, FID card, or a Resident Alien Permit, you’ll be ready to actually go buy a long gun. If you buy from a private seller, you’ll still have to have the transaction recorded, just like with a handgun purchase. Similar to buying a handgun, there are also restrictions on the types of long guns you can buy. You cannot buy anything that is considered an “assault weapon” by the state of Massachusetts. If you are buying a long gun from a gun dealer, then you won’t run into that problem, since they’ll only sell what is legal in the state. While there is an official list of all the specific firearms the State considers an “assault weapon,” you won’t be able to buy them from any dealer in the state anyway, so you just really need to be aware of the definition of an “assault weapon” and be careful that your firearms don’t have the same characteristics. The capacity to accept a detachable magazine at a location outside of the pistol grip. If your firearm meets any of those descriptions, then the state considers it an “assault weapon.” If you modify it so that your firearm no longer meets those descriptions, then you’re good to go. 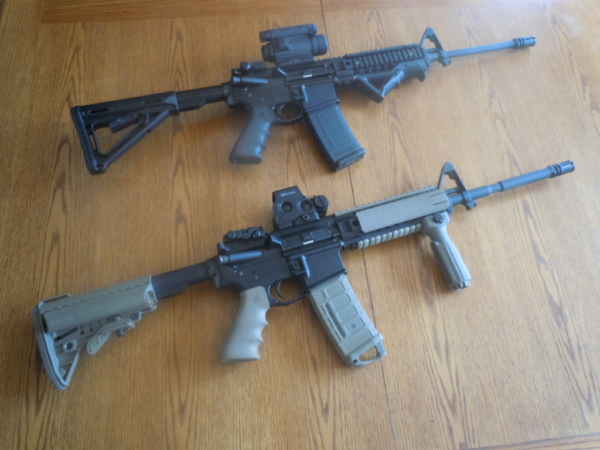 For those of you with AR-15s, you can check out our post on featureless rifles to find out popular ways to modify your rifles to avoid the “assault weapon” designation, but still be somewhat functional. If you managed to get an LTC when purchasing your handgun, then you can actually carry your handgun while out and about! For the most part, anyway. There are additional laws that you’ll need to watch out for when carrying though, that we will detail in our Massachusetts CCW page. Hop on over and check it out once you wrap up with the general gun laws here! If you’re a non-resident carrying firearms in Massachusetts, there are a special set of laws for you to follow. For the purposes of hunting, with a valid Massachusetts hunting license. 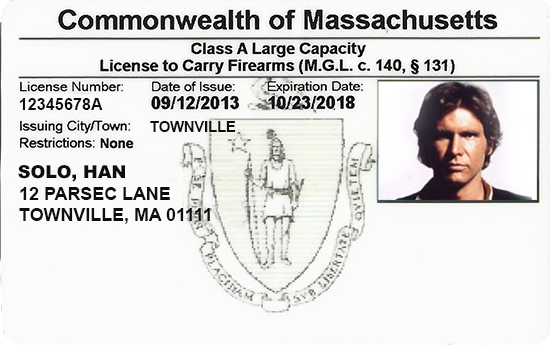 If the non-resident has a permit to possess a firearm, and the requirements for the permit meet the same requirements as the ones for Massachusetts (probably not). Basically, if you are travelling into or through Massachusetts, you should lock your unloaded firearms away in an enclosed case, and only take them out if you are hunting, at a gun show, or at a shooting range. Or don’t go to Massachusetts. 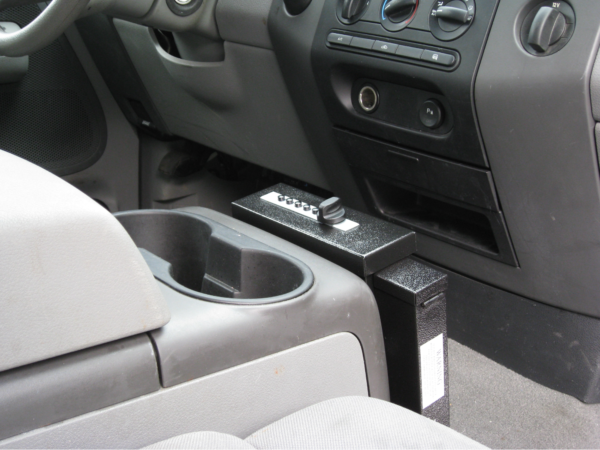 If you have an LTC, you can carry a loaded handgun while in the vehicle, as long as it is under your direct control. In all other situations, whether you are transporting long guns, or are just leaving your firearms in the car while you go run an errand somewhere, you will need to keep the firearm unloaded in a locked case or some type of secure container. Any magazine or belt that holds more than 10 rounds. Fortunately, there are some exceptions. 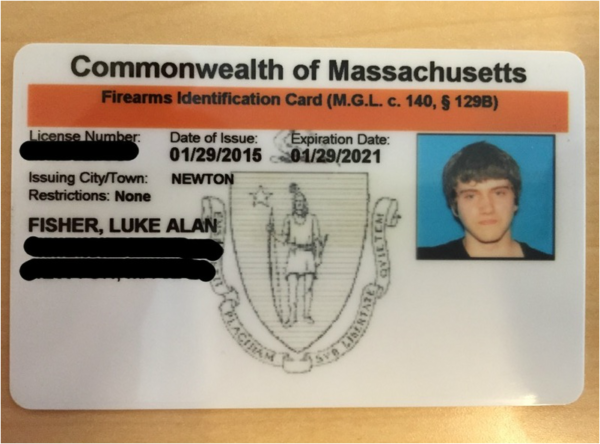 Non-residents of Boston that are attending a sporting or shooting club event or are passing through the city, with a valid LTC, FID card, hunting license, or an out-of-state permit to own a firearm, do not need permission from the Commissioner, as long as their firearms are unloaded and stored in a locked container. Aside from their sporting use, there are also situations where you are allowed to use firearms to defend yourself. Under what is commonly known as the “Castle Doctrine”, if you are at home, you can use deadly force to defend yourself and others if necessary. Specifically, if you reasonably believe someone that is illegally in your home is about to inflict great bodily injury or death on you or someone else in the house, you can use reasonable means to defend yourself. It’s important to note here that the law does not specifically say you can use deadly force, but only that you can use “reasonable means” to defend yourself. Of course, if someone breaks into your home and has a weapon in hand, intent on harming you or your loved ones, then it may be reasonable to use deadly force to face the threat. Unlike other states, Massachusetts does not allow you to defend yourself when you are outside the home. If you are faced with a threat while anywhere else other than your home, you are not allowed to respond to the threat, and must retreat instead, even if you are licensed to carry. And on that happy note, we’re finally done! If you’re still intent on staying in Massachusetts, then you’ll want to make sure you at least pay attention to the firearms storage laws. All firearms must be stored in a locked container or equipped with a tamper-resistant mechanical lock or safety device. Your best bet, of course, is to get a nice and solid safe to keep all your firearms. Not only will they be secured from any burglars, but if you have kids in your home, it’s always a good idea to keep your firearms locked up unless you are there to supervise and teach safe firearms handling techniques. Hopefully all of these restrictions haven’t discouraged you from trying to buy a gun in Massachusetts. If anything, they should encourage you to try and buy as many as you can! Of course, getting proper training with your firearms is a good idea, too. Whatever you do, just make sure you get out there and pew pew!